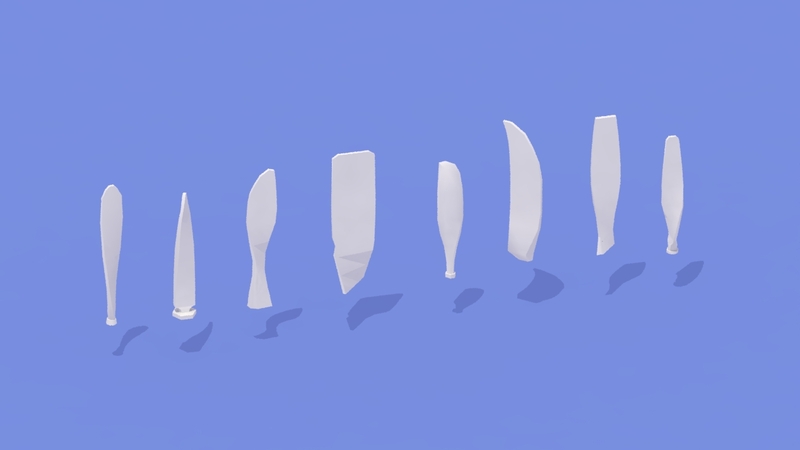 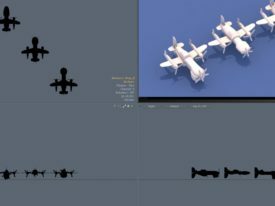 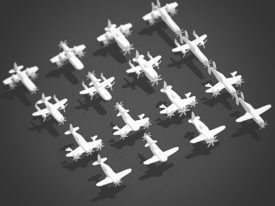 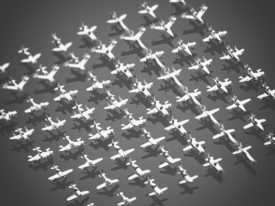 The propeller shapes were not designed for specific planes at first – I tried out various shapes and then put them on different airplanes to see which form would fit which airplane best. 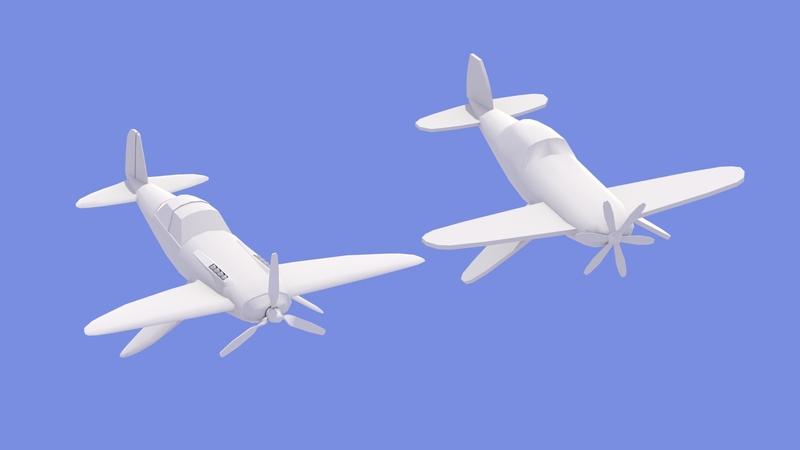 On the second picture you can see the original form on the right side and the one we selected for the “Hunter” airplane on the left. 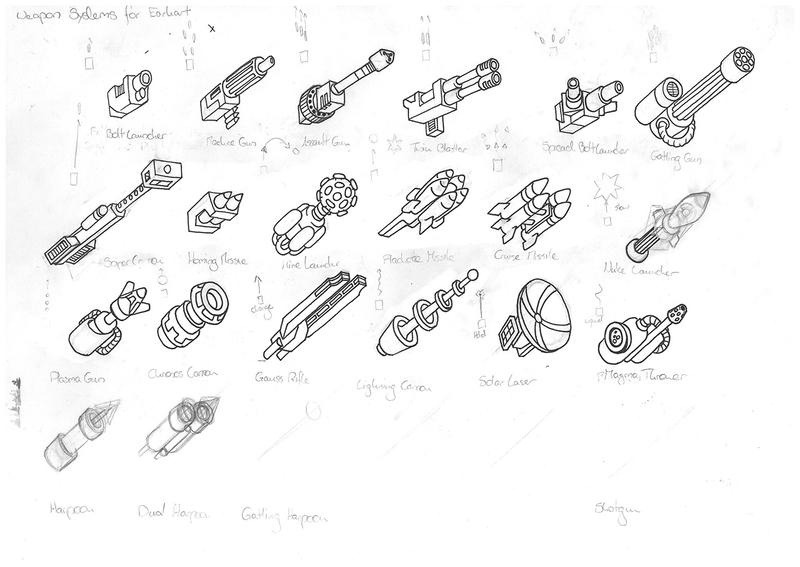 While I worked on the airplane concepts, Jeremy Spillmann made concepts for the first batch of weapons. 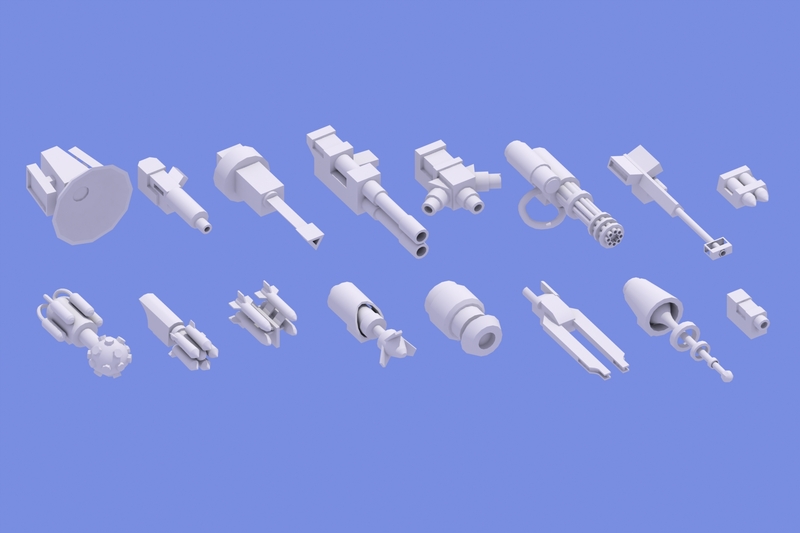 We made 16 for the GDC prototype but as far as I remember, only 6 or so were playable.